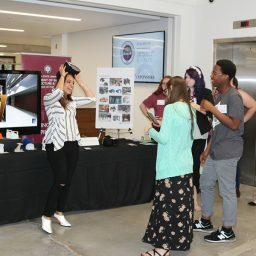 The new Florida State University Innovation Hub was alive with the spirit of invention during the annual DIGITECH event April 11. Students proudly displayed the fruits of their technological labors and crossed their fingers in hopes of their design being crowned a winner. 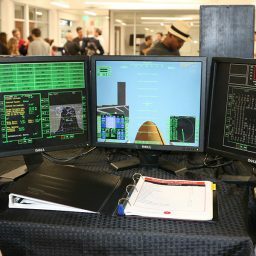 The competition was fierce, including a space flight simulator that Peter Carafano has been working on for seven years. 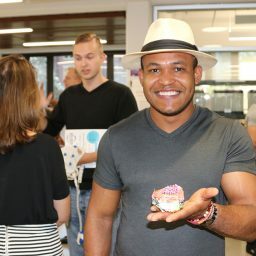 Carafano is a Ph.D. student studying instructional systems and learning technology and is also a teacher at Florida State University School (FSUS). 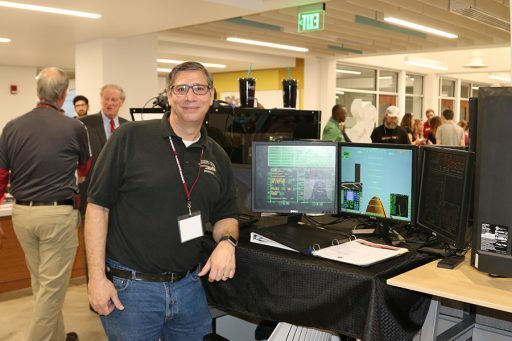 The simulator was a design he started at FSUS after receiving a grant to create a research project that would evaluate the effect of virtual immersion on developing students’ interests in STEM fields while teaching them teamwork and problem-solving skills through real-world situations. 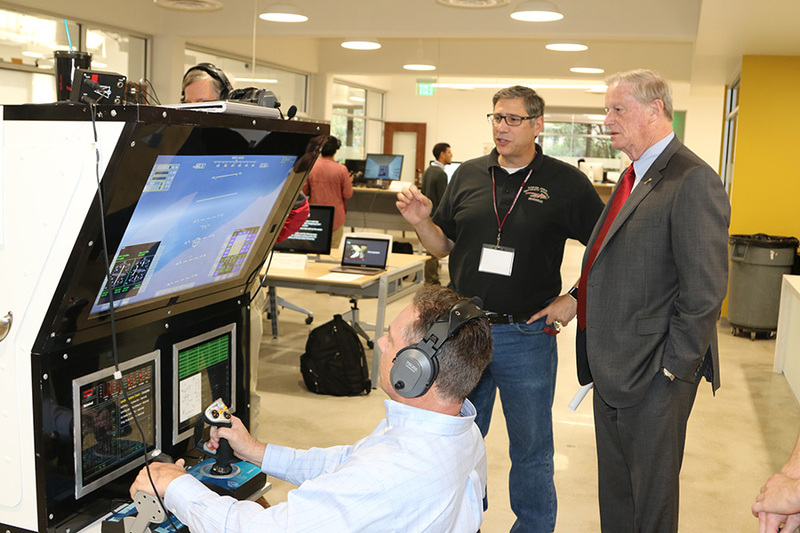 The project was a great success and the simulator grew into a statewide competition, the State of Florida Astronaut Challenge. Carafano also developed simulator software which can be used on any computer and downloaded for free online, so schools can replicate the simulation in classrooms. 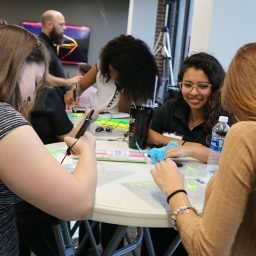 DIGITECH, a part of Florida State’s two-week Student Innovation Celebration, attracted students from a broad spectrum of majors from across campus. 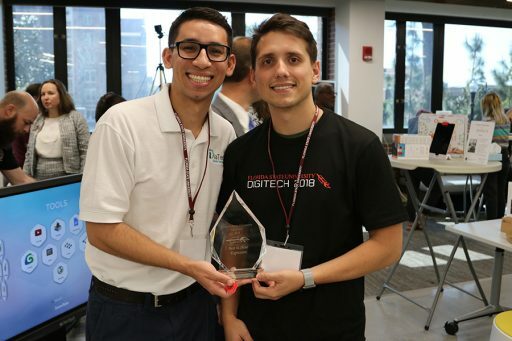 Another team of innovators created and implemented a system that optimizes insulin pump technology for patients with Type 1 Diabetes called DiaTech. They wanted to help their friend and fellow student John Wilcox, who suffers from the disease. The device alerts the user if the pump is going to malfunction and won’t deliver the insulin injection needed to regulate their blood glucose level. 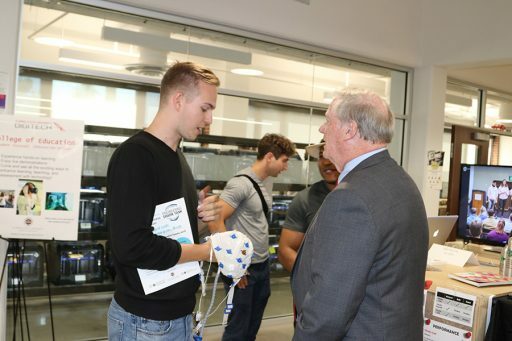 The creators are Wilcox, a senior biology major, Nicholas Cooper, a biomedical engineering master’s student and Luis Blanco, a senior chemical and biomedical engineering major, along with John Clark Gray, a 2017 graduate with a bachelor’s in chemical and biomedical engineering. 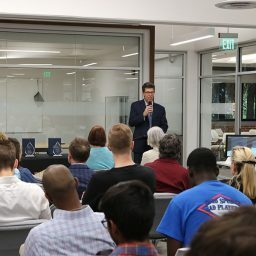 Some students tried their hand at the entrepreneurial side of innovation in the Shark Tank competition, sponsored by the Jim Moran School of Entrepreneurship. 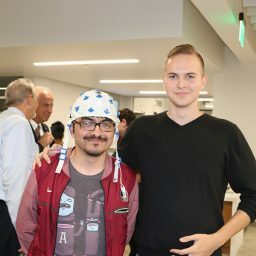 Junior Alex Koberda, a commercial entrepreneurship major, invented a device to test witness validity in the courtroom through an Electroencephalography (EEG) cap which records electrical activity in the brain. Best in Show: Innovation, in the spirit of Vires, the Best in Show for Innovation award goes to the exhibit that best demonstrates strength and influence through the innovative use of technologies. Best in Show: Contribution, in the spirit of Mores, the Best in Show for Contribution award goes to the exhibit that best demonstrates strength of character by contributing to others. Best in Show: Expression, in the spirit of Artes, the Best in Show for Expression award goes to the exhibit that best demonstrates the application of digital technologies skill for expressing ideas and feelings. Campus Choice Award, goes to the most popular exhibit decided by votes cast online by DIGITECH attendees. $1,000 Shark Tank, chosen by four judges as the most innovative entrepreneurial design. “What you see here is just the beginning of an innovation revolution that we will all witness here and across campus, as we work together to deepen our distinctive commitment to continuous innovation — FSU’s number one strategic goal,” said Kenneth Baldauf, director of the Innovation Hub. 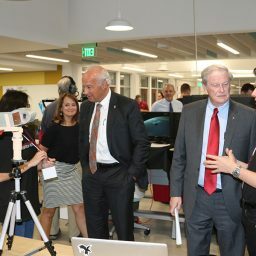 During the awards ceremony, the new Innovation Hub grand opening was also celebrated. 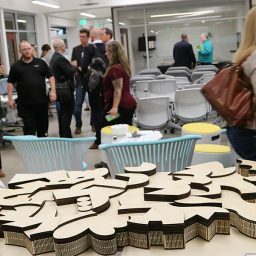 “The Hub will live up to its name, serving as a hub where innovative and creative forces from across campus come together and share unique perspectives and skill sets,” McRorie said. For more information about DIGITECH, visit innovation.fsu.edu/digitech. 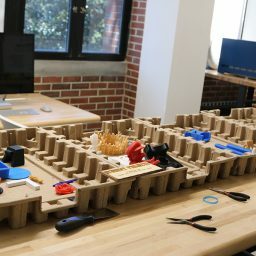 For more information about the Innovation Hub, visit innovation.fsu.edu.